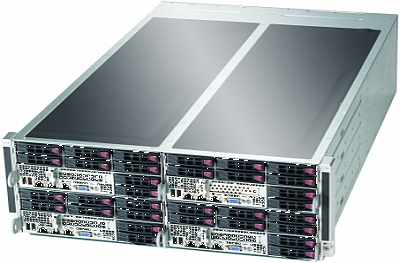 We specialize in adjusting Supermicro's all-star lineup of serverboards and servers includes models for every need. 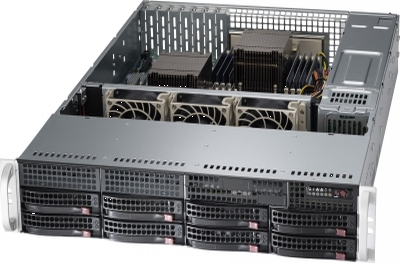 Performance enhancements over previous generations of systems for these Xeon Processor E5 series based DP Twin servers and serverboards include up to 8 cores per CPU / 16 threads, extra memory capacity with four channels per CPU for up to 768GB of Reg. ECC DDR3-1600MHz memory, and two QPI links running at up to 8 GT/s each. 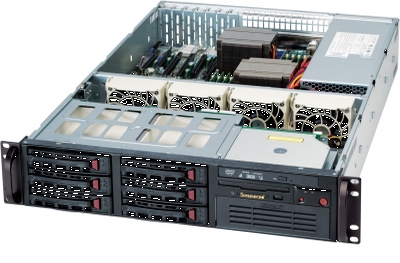 Extra enhancements include the option of either SATA 3.0 or SAS 2.0 (6Gbps) HDDs, Quad GbE LAN, PCI-E 3.0, 2.5" or 3.5" HDDs, upgraded fans with highly effective cooling architecture, and redundant Platinum Level power supplies. 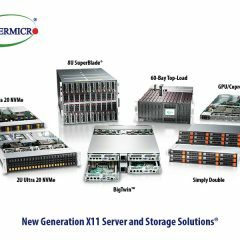 With Supermicro's signature quality and support, customers will benefit from more processing capacity in less space with better efficiency and cost profiles. 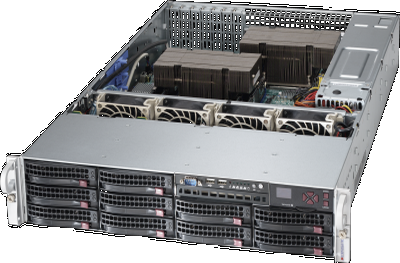 Based on the Intel® Xeon® Processor E5-2600 series, these UP and DP Mainstream servers are the best choices for Enterprise , Hosting and Data Center applications. 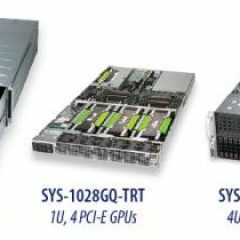 Supermicro's GPU SuperServers® establish the company as the true global leader in High-Performance, Enterprise-Class SuperComputing and GreenIT. 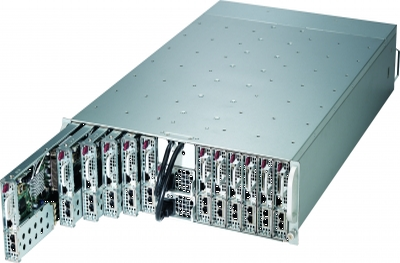 Generating massively parallel processing power and unrivaled networking flexibility with PCI-E 3.0 expansion slots, Gigabit Ethernet, and QDR/DDR InfiniBand ports, these systems deliver the highest quality with extreme optimization for the most computationally-intensive applications. 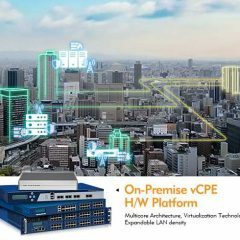 The servers supports Intel® Xeon Phi™ coprocessors across a wide range of high-performance server and workstation product lines. 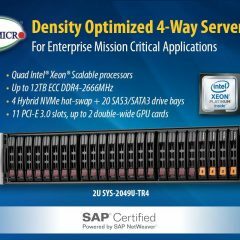 Supermicro's computing platforms achieve higher parallel processing capability with Intel's MIC (Many Integrated Core) architecture based Xeon Phi™. 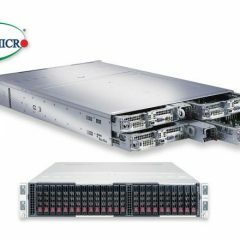 Unified with the latest Intel Xeon processors utilizing common instruction sets and Xeon Phi's multiple programming models, it is easier to port parallel computing applications in the hybrid environment and take advantage of the powerful processing resources of Supermicro's HPC platforms. Engineering, scientific and research fields can dramatically accelerate application performance with minimal investment in development with Supermicro's Intel Xeon Phi™ based supercomputing solutions.